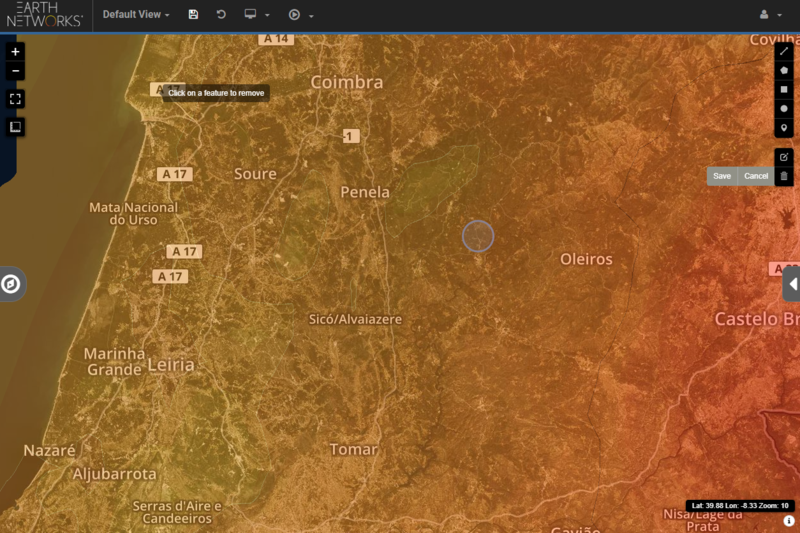 How Did the Deadly and Damaging Portugal Wildfire Start? 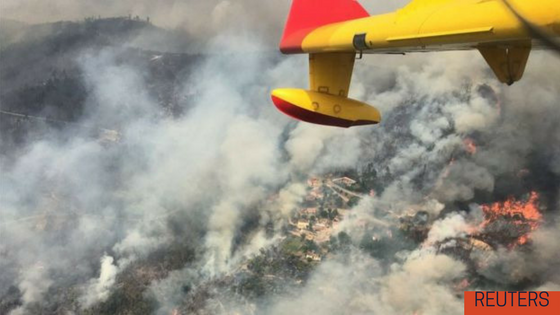 How Did the Portugal Wildfire Start? Wildfires start for a number of reasons. While arson and human carelessness are common causes, there is another: The weather. The weather has a very strong influence on wildfires. 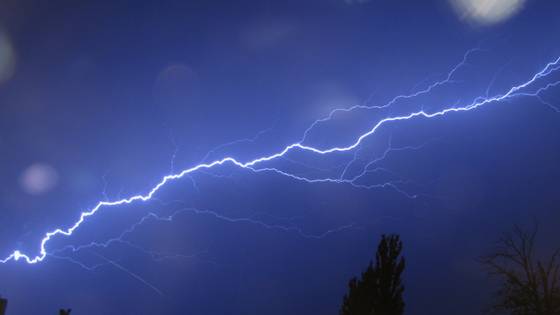 Heat from the sun or a lightning strike can start a fire quickly. A blazing Portugal wildfire started after a lightning strike hit a tree. Then the fire spread thoughout the densely forested area. The incident began on 19 June 2017. In the following days, the wildfire killed 62 people. After the storm started, many people died trying to evacuate the area. The fire injured dozens of others. Eight firefighters are among the injured. Four of them are in critical condition. This kind of wildfire is extremely difficult to control as they grow very easily. Extremely high temperatures (near 90F) and low humidity (about 15%) combined to create perfect conditions for a “dry thunderstorm.” Dry thunderstorms are thunderstorms with very small precipitation totals and strong turbulences. It’s scary to think that nature is responsible for this tragedy. However, lightning often starts wildfires. Even when lightning doesn’t start wildfires, the weather can still help create the perfect condition for one. The temperature, wind, and moisture all play a role in creating favorable wildfire conditions. Hot temperatures help spark wildfires. This happens in a number of ways. The sun’s heat can ignite underbrush on the ground. Warmer temperatures in general also allow fuels to ignite and burn faster. This helps spread wildfires quickly. Oftentimes, the wind affects a wildfire’s behavior the most. The wind is unpredictable and can change the course of a fire in flash. Winds also supply the fire with more oxygen. This fuels the fire and pushes it and allows it to move at a faster rate. After fires create their own wind patterns, scary fire whirls can form. Like a tornado with fire, fire whirls can fling flaming logs and debris over considerable distances. Finally, moisture also plays a role. Both humidity and precipitation work against the fire. These factors slow wildfires down and reduce its intensity. Rain makes potential fuels harder to ignite as well. Nature also has its own ways of preventing wildfires: High humidity and rain. Officials are calling the blaze the “greatest wildfire tragedy of recent years.” It’s unfortunate, but wildfires are a big problem in Portugal. Each year, wildfires are a menace to the country. 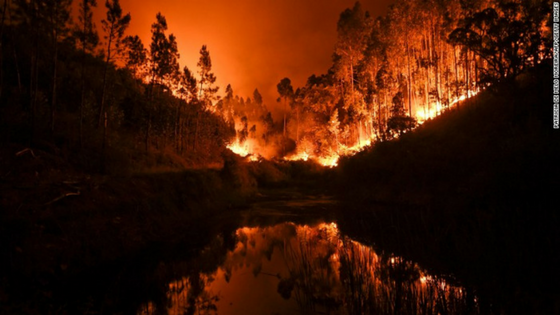 Between 1993 and 2013, Portugal experienced more wildfires than Spain, France, Italy, or Greece. 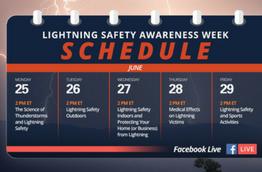 This week happens to be Lightning Safety Awareness Week across the Atlantic in the U.S. Each year, the National Weather Service hosts the awareness week. The last day, Saturday 24 June, is focused on home and building safety. One of the main safety concerns is lightning-ignited fires. 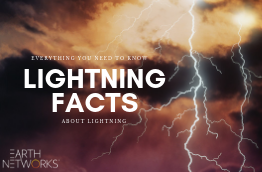 People, businesses, and governments around the world can benefit by learning more about lightning safety.